Science never sleeps! Experience our exhibitions after dark along with special engineering-themed programming. Science never sleeps… especially at the Phillip and Patricia Frost Museum of Science! Pack your jammies—you’re invited to join us on Friday, May 10, for the next Frost Science Girl Scout Exclusive Overnight Adventure. Open to girl scout troops*—and designed for children ages 5 to 17—our Overnight Adventures are a thrilling way to experience the museum, as you spend the night exploring our interactive exhibitions, conducting experiments, working your way towards your next badge and meeting new people after dark. Even though Engineers Week has come and gone, we’re still building and designing our way through the year! Join us as we are get our creative juices flowing by diving into the engineering process. 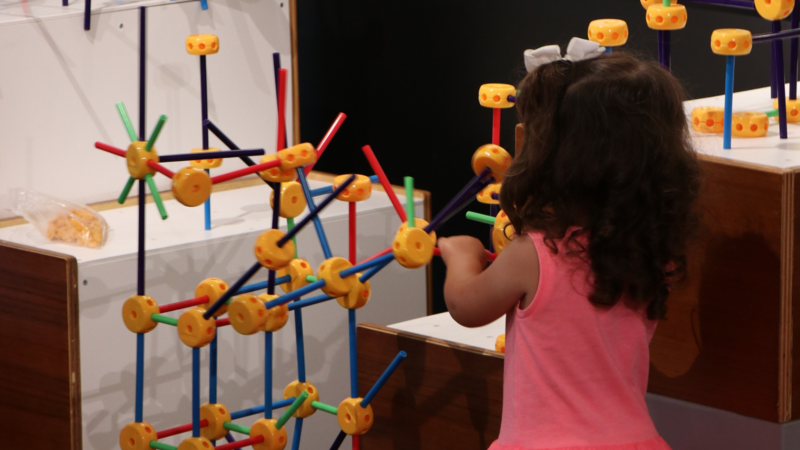 Put on your thinking cap to solve various engineering challenges throughout the museum, including in our Design Lab: Engineering workshop and by investigating the physics of roller coasters by building your own as a team! Explore matter and the role it plays in materials engineering in our Strange Matter exhibition. In addition to exploring the museum after hours, admire the light of faraway stars in the night sky with our telescopes** and end your evening by unwinding with an exclusive show in the Frost Planetarium. All scouts will receive two patches at the end of their adventure, one for Frost Science and one for Engineering! If your troop is working your way towards a particular badge, please contact us as we’d love to help you achieve your goal! Parking will be available from 6:00 p.m. to 8:15 a.m. for a $10 flat rate. Online registration closes May 7, 2019 at 5:30 p.m.
For more information, click here or email overnights@frostscience.org. *Please note: adults may not attend unless accompanied by youth participants. ** Rooftop telescope stargazing is weather permitting. Online registration closes May 7, 2019 at 5:30 p.m.